Most of us, Irish or not, are familiar with soda bread. But there’s another Irish bread out there that, if you haven’t tried it, you should: Irish brown bread. As St. Patrick’s Day approaches (it’s March 17), I wanted to find out more about how to make brown bread. So I went to the authority: The folks at McCarthy’s Red Stag Pub and Whiskey Bar in Bethlehem. Irish brown bread and soda bread share a lot of similarities. Think of brown bread as soda bread’s deeper, darker sister. Neither bread uses yeast to rise; instead the magical combination of baking soda and buttermilk is used, creating a chemical reaction that allows the breads to rise. Baking soda became a common ingredient in bread-baking in the early 1800s. Soda bread was the least-expensive type to put on the table, and baking soda worked well with the “soft wheat” grown in Ireland. It’s also a bread that comes together quickly. Both quick breads are far from fancy, made with simple ingredients that can be assembled for quick enjoyment. Where they differ: Irish soda bread is slightly sweet, almost scone-like. It uses white flour, which gives it a milder flavor. It’s a perfect snack or accompaniment to a hot cup of tea or coffee. Brown bread is savory, with a deep nutty flavor that comes from the combination of Irish wholemeal flour and oats. You don’t slice this bread thin. You’ll want a generous slab that you can slather with Irish butter (Kerrygold is good, available at Wegmans) or top with smoked salmon and a spritz of lemon juice. Brown bread is an essential component of an Irish breakfast — an epic feast of eggs, fried potatoes and meats of all kinds. Because it’s so hardy, it can stand up to such a substantial breakfast. Another good use: Dunk brown bread in thick soups, stews or even chili. 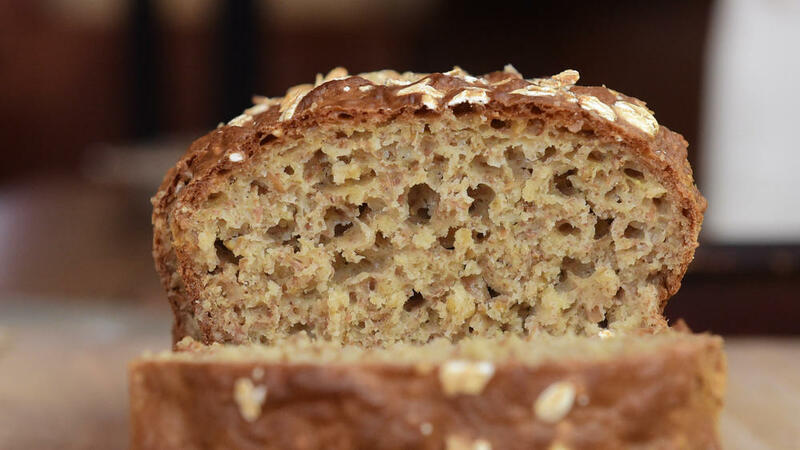 To make an authentic brown bread, you’ll need a handful of ingredients: flour, baking soda, rolled oats, steel-cut oats, salt, buttermilk and a crucial ingredient, Irish wholemeal flour. Irish wholemeal flour is something you can buy at specialty stores, through Amazon or at Donegal Square (the Celtic shop adjoining McCarthy’s Red Stag Pub). In a medium bowl, sift together all-purpose flour, baking soda and salt. Add remaining dry ingredients to bowl and mix with whisk or with hands. Add buttermilk and mix with hands. Do not overmix or bread will become tough. Pour into loaf pan and sprinkle with 1 teaspoon rolled oats. Place in oven, bake for 20 minutes, rotate and bake 20 more minutes. Allow bread to cool before slicing. Keep remaining bread refrigerated.